TPB Back Issue Classics Episode 63 is here! Mike and Joe return to Talkin' Turtles... This dynamic duo go through issue #4 of IDW's TMNT BEBOP & ROCKSTEADY DESTROY EVERYTHING! and spoil well everything! We talk about just how Bebop and Rocksteady aren't good on their own, and just how badly they have almost DESTROYED EVERYTHING!!!! lus Peperoni, Raph's new pet!! Well it's his new old pet! 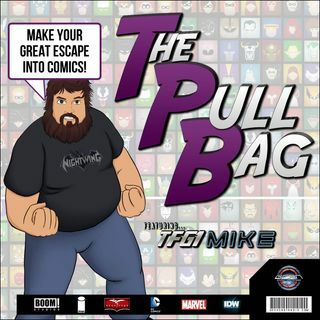 So grab some pizza, and listen in as we continue the Tubular Turtle Talk here ... See More inside The Pull Bag! Join us next week for issue #4!